There’s still a ton of snow on the ground. It doesn’t seem that spring will be here any time soon. But don’t get too down, the warmer weather is coming, and the rains are on their way! But with melting snow and torrential rains comes one thing: soggy ground. How well does your home shed water away from the foundation? Does it pool up and soak in right by the concrete? 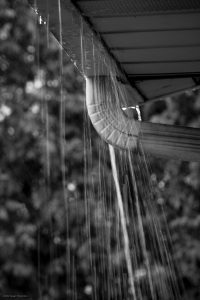 Do your gutters shed the water away from the house, or drop it straight down? Do you even have gutters on your house? Now is the time to get the gutters on, so that you’re not left with a flood. When water hits your roof, it pours down into the gutters. The gutters are supposed to shed that water far away from the house to prevent damage to the concrete foundation. But it’s just a little water, right? Not exactly. Suppose your roof measures 20 feet by 30 feet, and a decent storm comes through. For every ¼ inch of rain that falls, about 100 gallons of water comes rolling off your roof. Without the right drainage, all that water soaks into the ground and can potentially leak through the foundation causing significant damage to your house. When you have Beartooth Metal Roofing install seamless gutters on your home in Billings, Red Lodge, Nye, Roundup, or anywhere else throughout the area, we make sure to have them set up properly so that he water is directed far away from the foundation to prevent any damage. Gutters come in essentially two varieties: sectional and seamless. Both will help shed water away from your home, the difference is primarily in how long they will last. When you install sectional gutters (they are either vinyl or steel), you have joints where two pieces come together. There are “splicers” and the two sections are joined with a little silicone caulking. Over time that joint will wear out, and leaks will develop between the sections. You can pull them apart and re-seal them, but subsequent seals are never as good as the original. Seamless steel gutters don’t have those sections. They are bent to shape coming off the truck, and cut to the exact length that you need. The result is one continuous gutter that has fewer fail points and ultimately will last longer. The bottom line: both styles of gutters will protect your house. Steel will last longer than the vinyl sectional. Here at Beartooth Metal Roofing we love working with metal. Whether you need a full roof on top of your house, or you just need to get new gutters in place, we are your source for premium metal work in Billings! 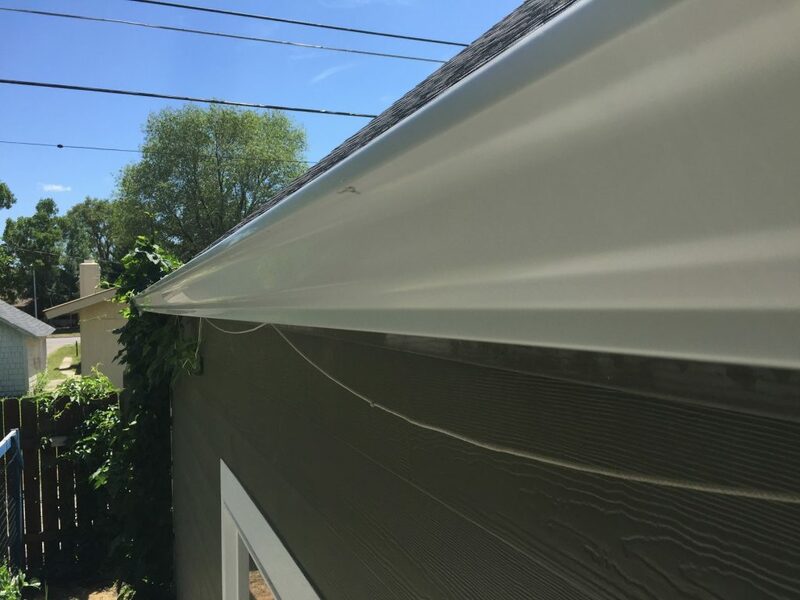 Give us a call at 406-839-0084 and we can get you a quote on your new seamless gutters.